A Taylorville native, Nancy M. Handegan was born and raised in Central Illinois. She is a graduate of the College of Agriculture at the University of Illinois, where she also received her law degree. Nancy then worked for the Federal Land Bank of St. Louis, assisting numerous farm families with estate planning. 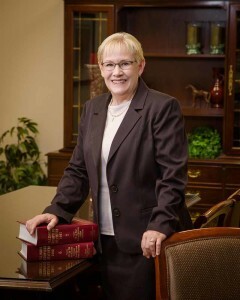 She launched her own law office in 2003, with an emphasis on estate planning, trusts, commercial litigation, legal and business entities, real estate and title insurance. Today, Handegan owns First Illinois Title Group LLC, and provides down-to-earth legal counsel and representation for numerous Central Illinois businesses, families and developers. 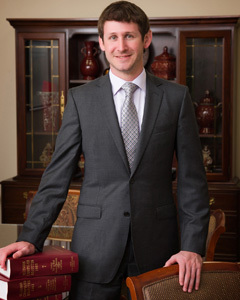 Nathan D. Handegan joined the law practice in 2017, having earned his B.S. in crop science from the University of Illinois and his law degree from Southern Illinois University at Carbondale. He grew up on the farm in Taylorville and looks forward to working with farm families and others, providing guidance on wills, estates, trusts and real estate. In addition, Nathan will serve as the practice’s authority on trademark and copyright law. Sullivan native Douglas K. Smothers joined Handegan Law Office in April of 2017 as Handegan Law Office acquired what was previously known as Rau, Elder and Associates law practice of Sullivan. A Sullivan High School graduate, Smothers received his law degree from the University of Cincinnati in 2014. 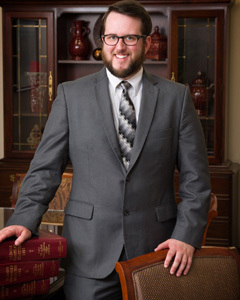 His education includes interning at the Children’s Law Center in Covington, KY, building his expertise in family law. While Smothers will help clients with a wide variety of legal concerns including criminal law, much of his focus will be family law. Smothers looks forward to helping clients work through family issues and challenges, in the most affordable and amicable manner possible.